As promised, today I will cover part 2 of my all natural Auyvedic shampoo experiments. 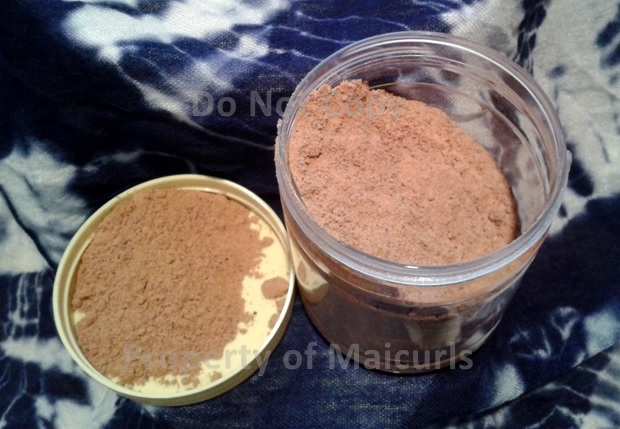 In my previous review (part 1) I wrote about Shikakai powder and today I will be covering Aritha powder. Similar to Shikakai, Aritha predominetly comes from Asia – mainly in India and is derived from a fruit. It is most commonly known as soapnut or Sapindus Trifoliatus. In Asia Aritha is popular alternative to commercial shampoo due to the fact that it does not contain unnatural elements and harsh chemicals. I have used it for my skin and it did a really good job of cleaning, clearing up my pores as well as helping fight my oily T-zone. I would suggest this for those who have oily skin as apposed to dry skin because it can cause more dryness. To use Aritha you do not need any additional ingredients apart from water however, I know some people might add a little oil to the mix. Note: Aritha will have a moderate lather (it lathers more than Shikakai). BTW it has a fruit/spice smell to it…I do not particularly mind it but those with a sensitive sense of smell will pick up on its scent! 1. Take required quantity of powder, add a little water and mix to make a thick past. 2. Gently massage (scalp) using your fingertips. 3. Wait for 2 – 5 minute and 4. wash thoroughly with water. 1. Box method – 5 tablespoons of Aritha and 8 tablespoons of water. It made a really thick paste and I applied it to my damp scalp as instructed. I carefully and slowly massaged my scalp for a few minutes while in the shower, left it on for 5 minutes and then rinsed it off with lukewarm water. While I was rinsing it off I would glide my hands down the length of my hair so that there would be some contact but I did not concentrate on the length of my hair. Pros- My scalp felt really really clean. I had no buildup what so ever and even though it had limited contact with the length of my hair it still felt really clean. Con – My hair felt drrrryyyyy afterwards! It took a couple of rinses till I felt like I got all the mix off my scalp and hair. The mix did what it was suppose to (cleaned my hair and scalp) but maybe a little too effectively in terms of stripping my hair of its natural oils. I needed an intesne moisturizing DC afterwards. 2. Second Method – Due to my previous experience (really dry hair) I prepped by doing a hot oil treatment for 30 minutes before applying the Aritha. I used less powder and a lot more water (3 tablespoons Aritha and 3/4 cup of water). I put the mixture in an old (clean) squeeze container and liberally squirted the mixture over my scalp. (Do not get it in your eyes it will burn and feel uncomfortable!) Since it was a lot more liquid-based, the mixture ran down my hair as well. I gently massaged just my scalp and let it sit for 5 minutes before rinsing it out with lukewarm water. Pros – Again my scalp felt and looked really clean as did the length of my hair. Cons – My hair still felt dry afterwards even though I “prepoo’d” for 30 minutes. Also because it was very watery the mix did run down my hair a couple of times while I was massaging my scalp. Would I buy this again? Yes BUT only to use for my face not to use it on my hair. I prefer Shikakai as a natural shampoo because it did not leave my hair as dry but did a good job of cleaning my hair. I can not say this is a “bad” product because it did what it supposed to do (cleans the scalp) and also dried the length of my hair from the limited contact it had. I think perhaps those with more product build up or an oily scalp might find this a little less harsh? I just know that I would use it again for my face but not my scalp. P.S. I was not asked/paid or compensated to mention the company or brand. The product was bought with my own money and the review was based on my own personal experience. This review was based on my own personal experiences and should you choose to use Aritha I would suggest you do your research and then do a patch test before applying the product on your scalp to see if you are allergic to it or not. 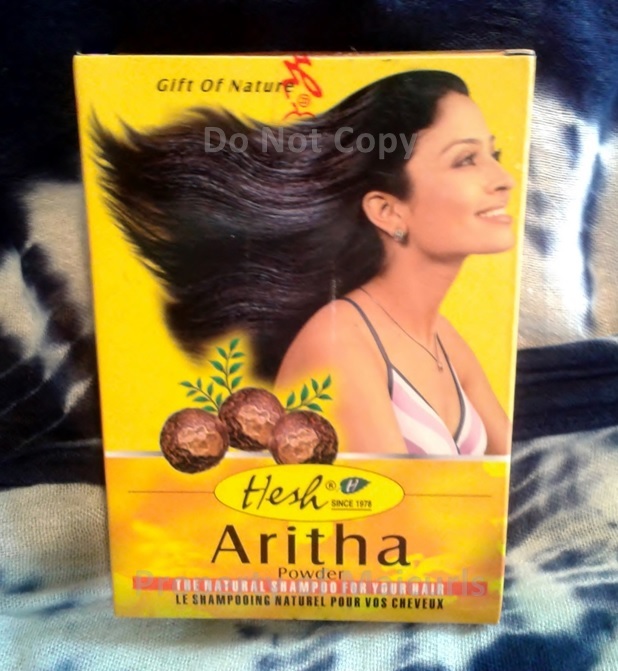 Have you tried Aritha as a shampoo? If so, what did you think? If not, do you use any other Auyvedic powder as a natural shampoo? Let me know! This entry was posted in Aritha Powder, Ayurvedic Herbs for Hair, Ayurvedic Hers for Skin Care, Ayurverdic Natural Shampoo, Cleansing Natural Hair, Natural Hair Shampoo, Natural Ingredients for curly hair, Natural ingredients for skin and tagged Aritha powder, Ayurvedic Herbs, Cleansing natural hair, Natural Ayurvedic powder, Natural Ayurvedic shampoo, natural hair cleanser, Natural Shampoo on May 8, 2014 by Maicurls.